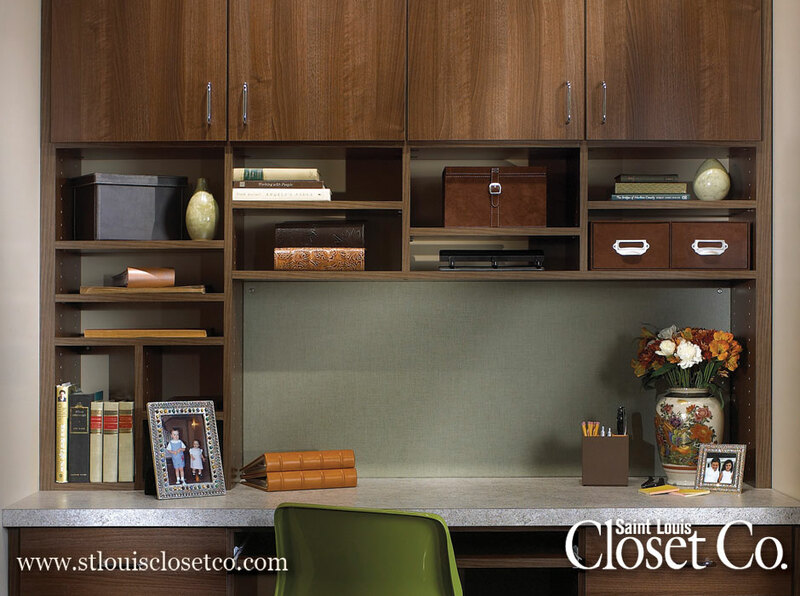 St. Louis Organization Home Offices | Offices | Saint Louis Closet Co. 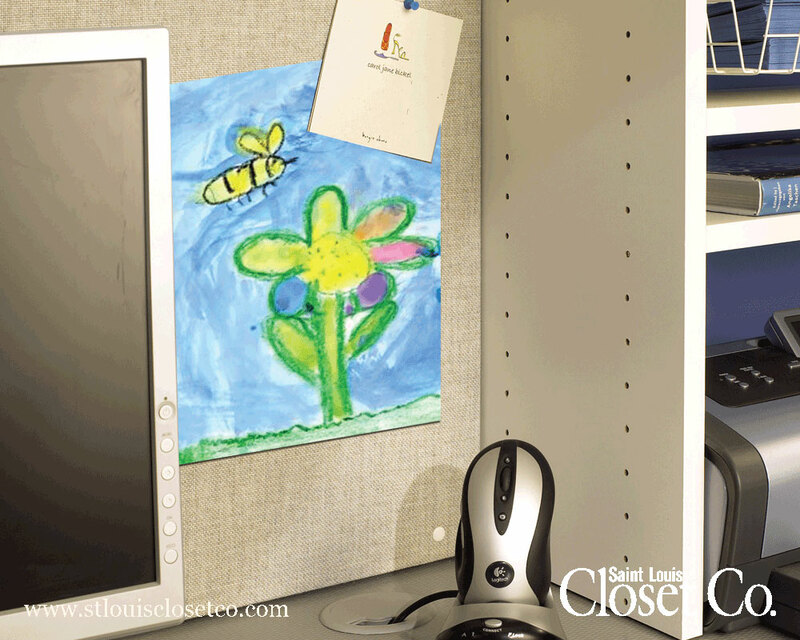 Your Home Office is so much more than a place to pay your bills. 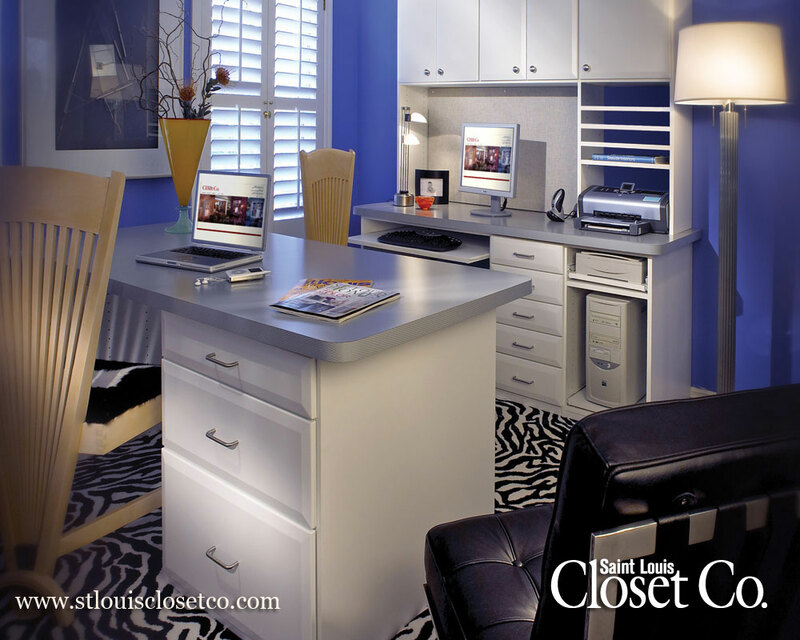 It is also a place to neatly organize your mail, paperwork, and computer needs and a great place for your kids to do their homework. 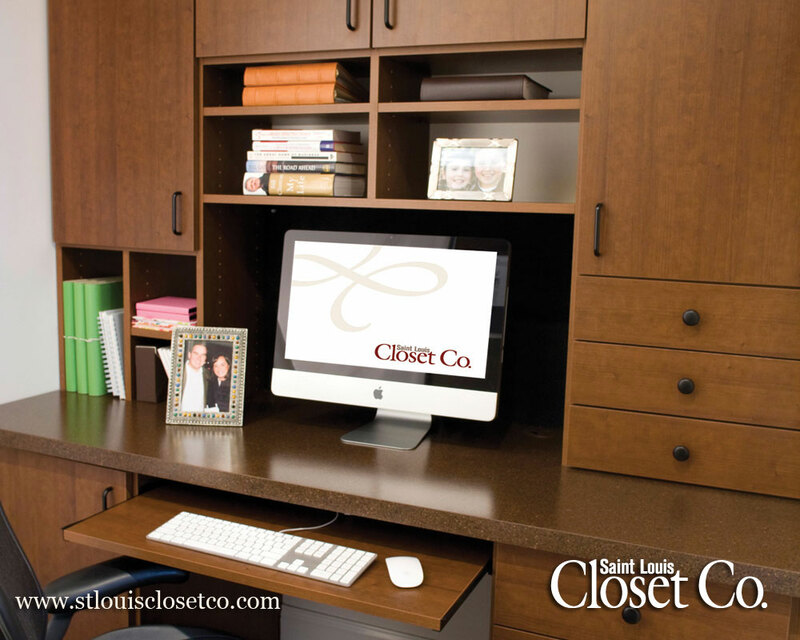 With more people working from home than ever before, a customized office or work station from Saint Louis Closet Co. is a great investment for your home…and we all know that a quiet workplace with new space to complete your important tasks is definitely worth it! 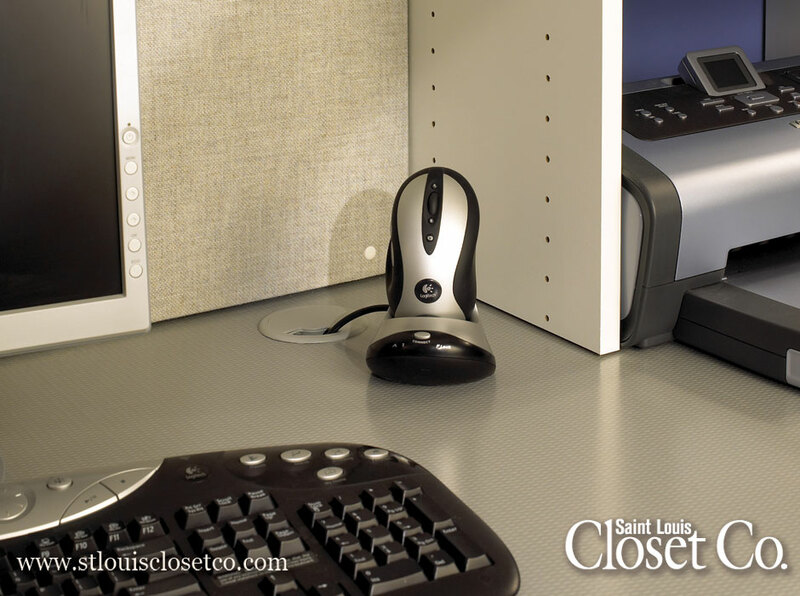 There are endless options you can utilize to customize your home office, including pull-out keyboard trays, baskets, countertops, file drawers, fabric boards, binder slots, and more. 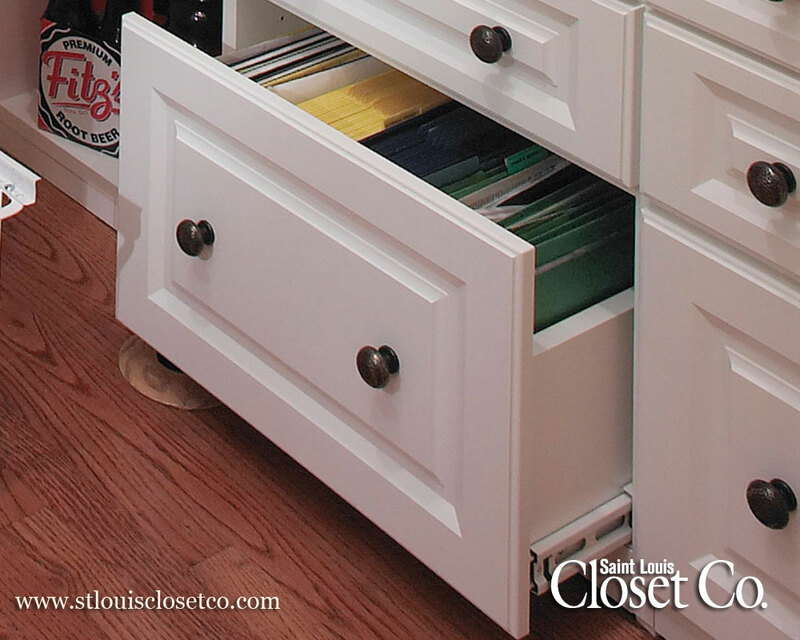 Saint Louis Closet Co. also designs and installs for commercial uses as well. 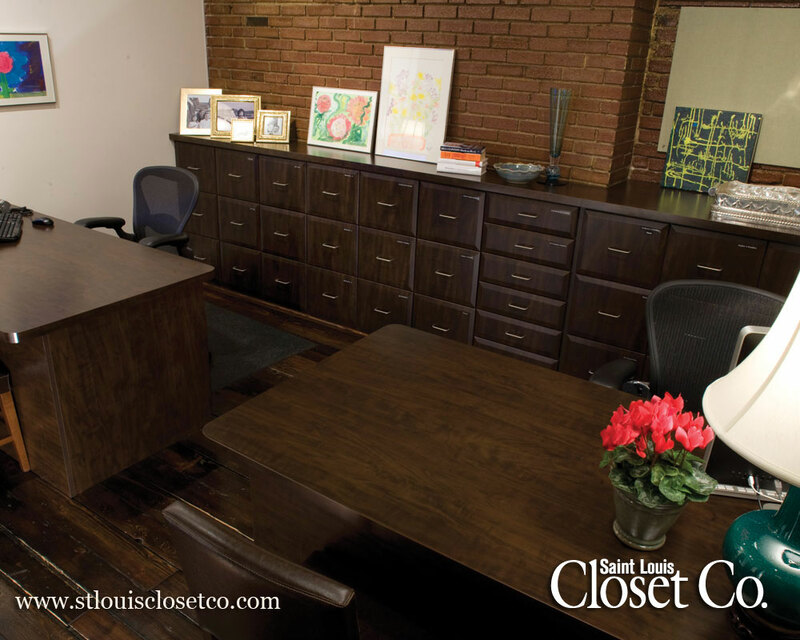 Mail Centers, Work Stations, Corporate Meeting Rooms, Coffee Stations, Paper Storage and Filing Systems are all just a few ways St. Louis Closet Co. can improve your office space and really help streamline work!